This is from one of our mini-lessons. We always tell students not to spend too much time on drawing their visualizations! After coming back from break, all is generally forgotten. 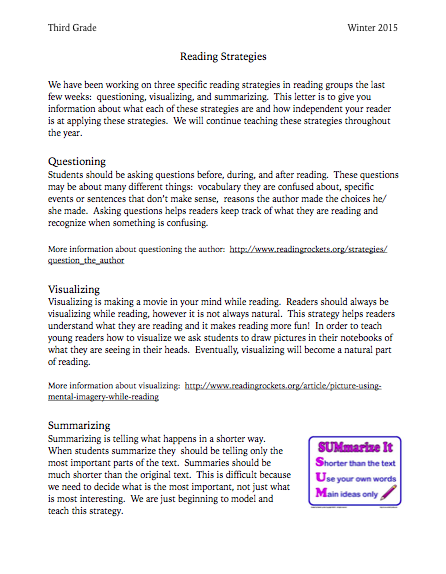 So, we wanted to review the very important reading strategies of questioning and visualizing, while also beginning to teach the strategy of summarizing. 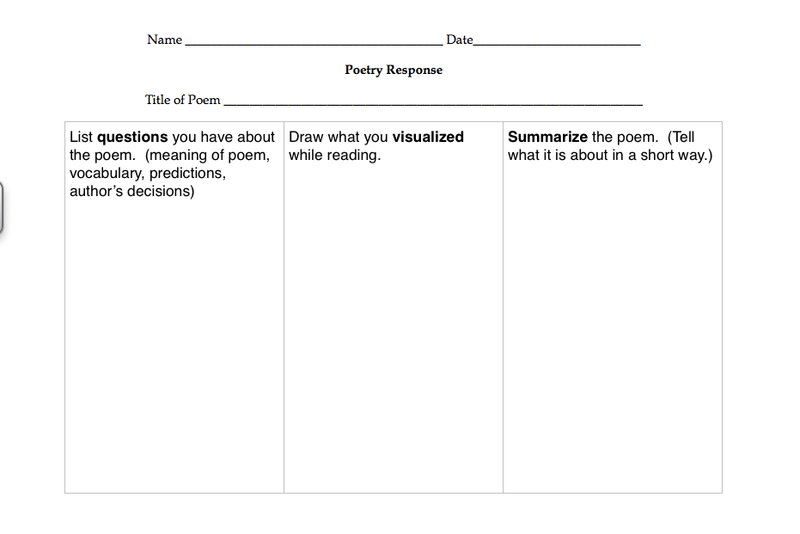 We used poetry to work with these strategies for about a week. We used this graphic organizer in guided reading to practice the strategies. We tracked student application of these strategies with a checklist. After four days of modeling and guided practice, we wanted to see what students were able to do on their own. 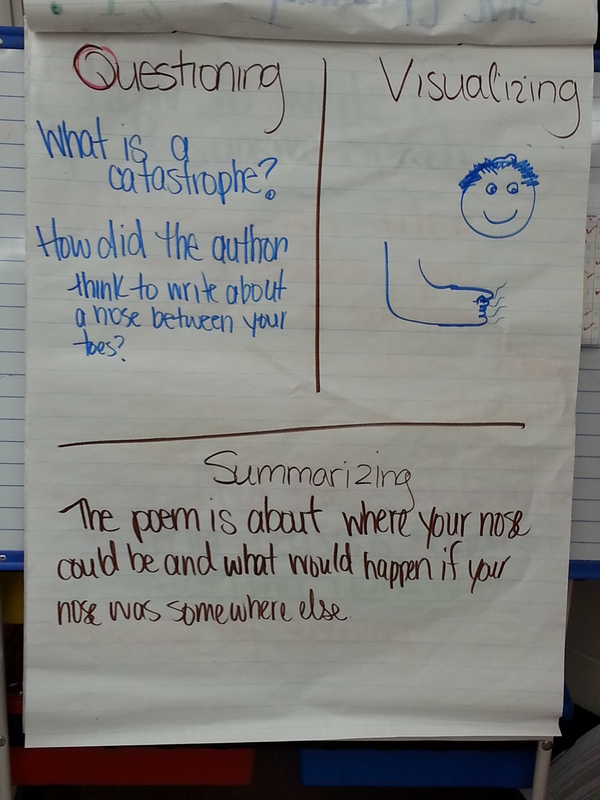 We read a poem together and the students showed us what they could do in their notebooks. We then took this information plus our guided reading information to report student progress on these strategies to parents. We sent this letter home to parents with an explanation of each strategy. 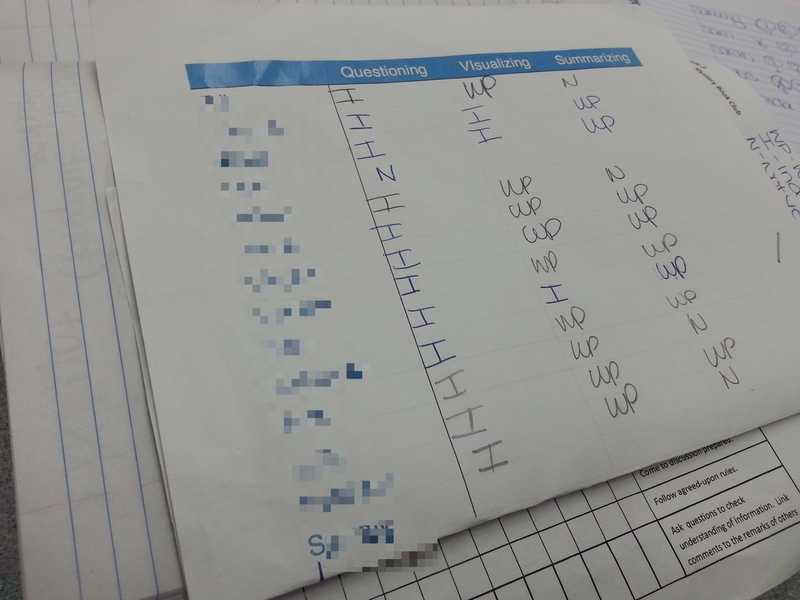 On the back of the letter, we reported student progress on these reading strategies. Hopefully this helps you encourage these very important reading strategies in your young readers. You can purchase these resources at my TPT store. And now I will leave you with a few thoughts from our third graders after reading this poem. 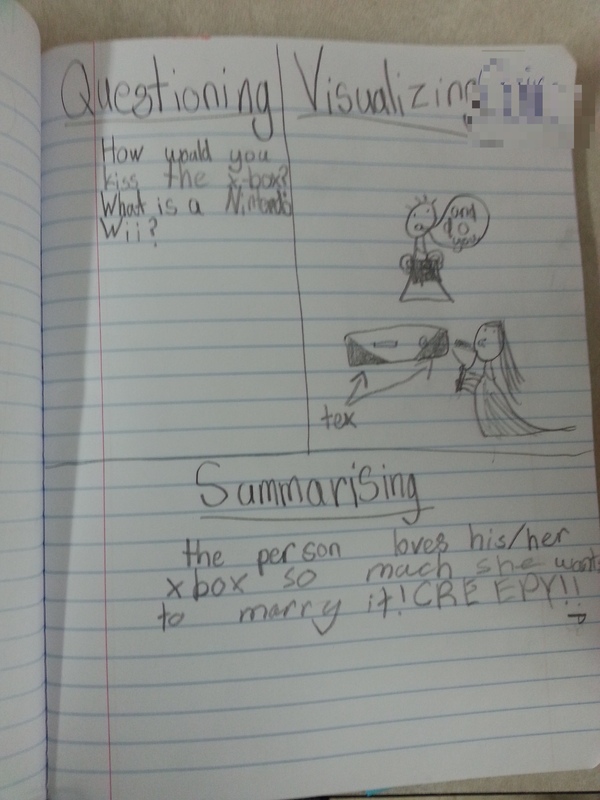 Posted on February 1, 2015 February 7, 2015 Categories Third GradeTags questioning, reading strategies, summarizing, visualizing1 Comment on Questioning, Visualizing, Summarizing…Oh My!